If your iPad Air is having problems syncing with iTunes, charging, transferring data, or you have damaged the Lightning dock connector in any way, then this is the part you need to replace. 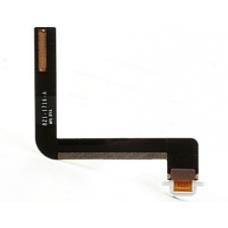 This is a genuine original iPad Air Lightning charging port flex cable in white. Please be aware this iPad Air Lightning connector socket and flex cable requires soldering to install.